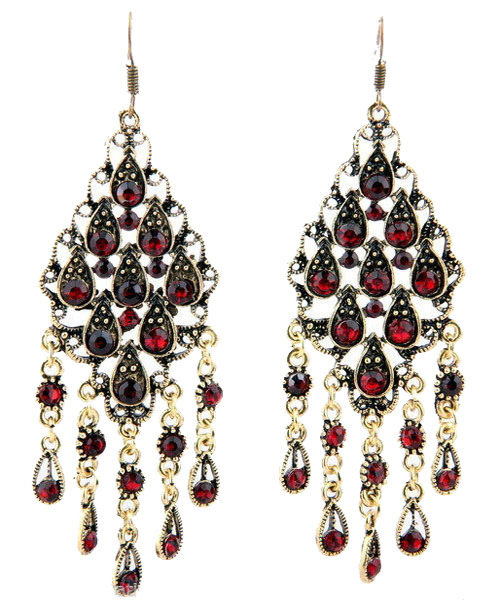 Antique gold-plated metal in combination with wine-red crystal beads gives these earrings some vintage flair. Round-cut beads in metal framing make up a rhombus with pendants. The earrings feature a hook fastening. Support jewellery Australia and buy from Oz Bling today. We guarantee high standards of quality at lowest prices.